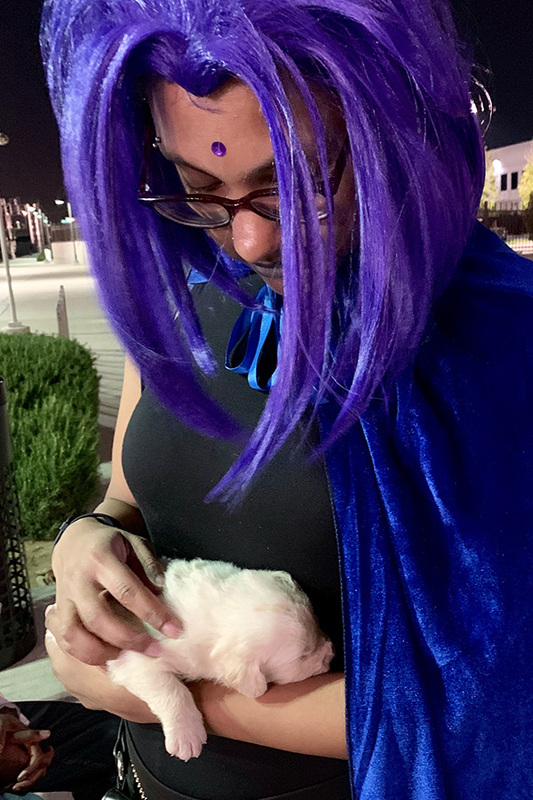 While on the way back from Wondercon on day two, we saw this guy with what looked like a baby animal. Oh, my GF was very happy to see this little guy and hold it for awhile. Because puppies and kittens are the best. More so when they are tired.